Today I’ll be setting up my table for Sakuracon, and once again, if you’re in Seattle, please come by and visit! A lot of interesting stuff is going on for me lately in the world of gaming… alas, I’m not actually playing nearly enough, that D&D Next/Carcosa campaign still hasn’t gotten off the ground, but some cool stuff is going on that I should hopefully soon be able to announce. A lot of it involves MANGAKA, so if you’re at Sakuracon, stop by for one of the playtests on Saturday or Sunday! 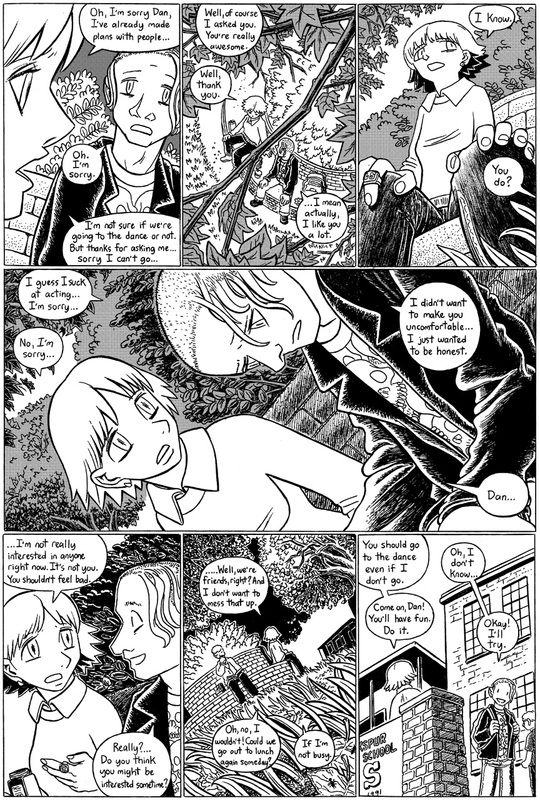 Finally, I want to recommend a comic: Jason Shiga’s Demon. Currently running as a webcomic, this around-1000-pages-long epic is THE greatest comic I’ve read in a decade. I was privileged to proofread an earlier draft of this comic that Shiga loaned me, and I confidently say that this will be remembered as one of the best comics of its era. To say any more would be spoilers, but Jason himself described it as resembling “Death Note,” and that’s as good a description as any. Go check it out. It’s really, really good. Gulp…I swear, yesterday Page 147 looked totally different…(Leigh rejected Dan). What happened? Agggh! Sorry, WordPress is weird sometimes, looks like it replaced the correct page with Friday’s unrelated zombie sketch. Lemme fix it…!